Grosshans - Joelle Delbourgo Associates, Inc. 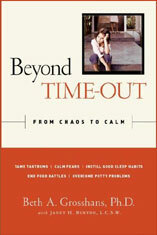 Beyond Time-Out— Beth A. Grosshans, Ph.D. and Janet Burton, L.C.S.W. Over the past fifteen years as a clinical child psychologist working with families, Beth A. Grosshans has noticed an increase in behavioral problems among children. In a marked cultural shift, parents appear to have unwittingly ceded their parental power to their children, resulting in what Dr. Grosshans and her co-author, Janet Burton, L.C.S.W., term an imbalance of family power (IFP). This transfer of power can result in children acting out in a variety of ways, from tantrums and meltdowns to poor sleeping habits or food battles. Unlike other parenting books for those with children age three to eleven, Beyond Time-Out asks parents to honestly examine themselves and identify their own inadvertent contributions to their child’s poor behavior. Dr. Grosshans outlines the four types of parents that she believes most frequently cause an imbalance of family power: the Pleasers, Pushovers, Forcers, and Outliers. All of these parenting styles share one common flaw, a lack of understanding that “the essential lessons of self-control, respect, and cooperation are not talking-based lessons; they are action-based lessons.” In Beyond Time-Out, the authors unveil the Ladder, a sequence of steps parents can follow when a child misbehaves that will ultimately redress the balance of power within the family and therefore improve the child’s behavior. Following the Ladder allows parents to”lovingly lead” children, who will feel more secure once there are clear boundaries and consequences, and who will then begin to correct their own behavior. Dr. Grosshans holds masters and doctoral degrees from Ohio State University and worked at the Children’s Hospital in Boston and Judge Baker Children’s Center of Harvard Medical School. 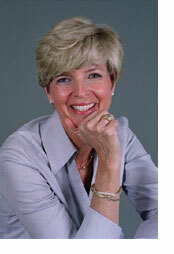 Currently a private practice clinical child psychologist, Dr. Grosshans has worked with hundreds of families. She is also an instructor at the Princeton Center for Teacher Education and is frequently invited to speak to the New Jersey Montessori Network of Schools. 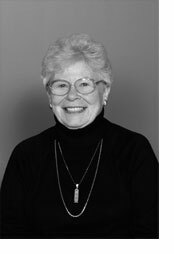 Janet Burton, trained as a clinical social worker at the University of Michigan, has over forty years of experience working with families. She has supervised graduate students and licensed clinicians for twenty of those years and was formerly an adjunct faculty member at the School of Social Work at Rutgers University.